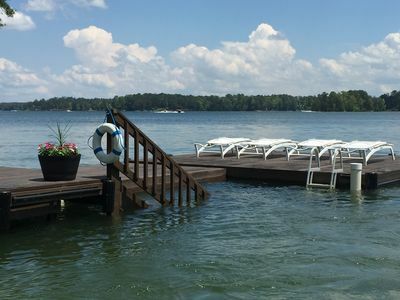 Relax on beautiful Lake Martin in this 4 BR/2Full/2Half Bath lake cottage with fantastic waterfront views and spacious covered wraparound porch. 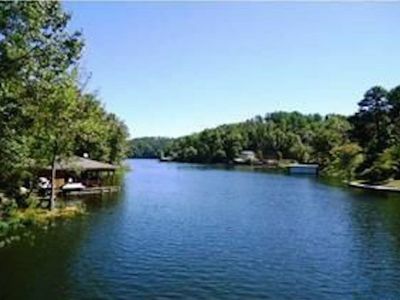 This is a New Listing that is newly furnished, with additional outdoor furniture and indoor decor coming soon. It has been updated with fresh paint throughout, keyless entry and all safety detectors. Outdoor areas are a dream. 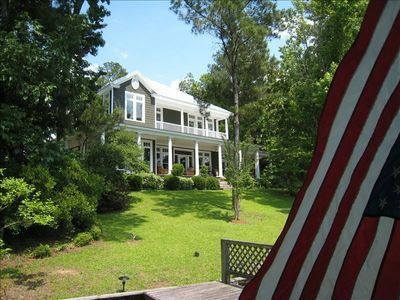 Wraparound porch has sectionals, rockers and dining tables with seating for 16. 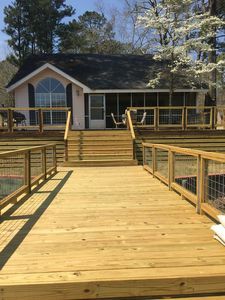 Lower porches, landings and decks include benches, swing and hammock. 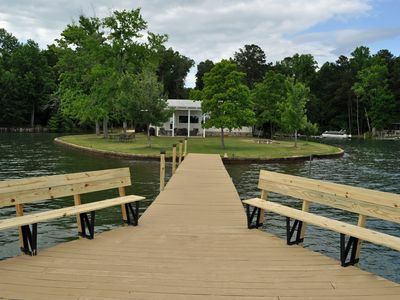 There is a large covered boat house, dock and floating dock with a boat ramp next to the driveway to launch your own boat. Vacant lot across street for additional parking. 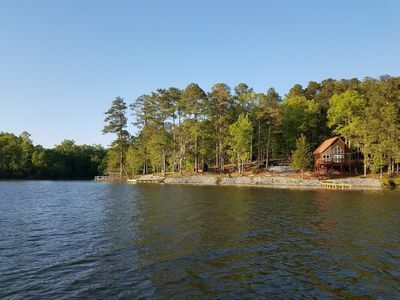 Enjoy the porches in the mornings with your cup of coffee or a good book, water activities during the day, hammock and swing for afternoon nap or enjoying the beautiful sunset and the gas grill for dinner. 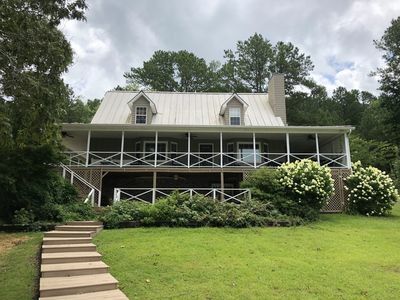 First floor includes family room with plenty of seating on sofa and 4 large swivel chairs, TV, fully equipped kitchen, laundry room with washer/dryer, master BR with King bed, private bath with garden tub, rainfall shower and walk in closet. There is also a half bath on main floor. Seating for 8 at the dining table and 3 additional bar seats. Upstairs has 2 BR with 1 King and 1 Queen bed and another full bath with shower/tub combo. 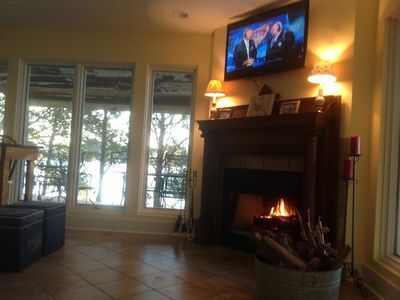 Both bedrooms have lake view. Both King rooms in home have room for a blow up mattress or crib if you need. Downstairs has a large bonus BR with 2 single beds and 1 bunk. Also includes another half bath. 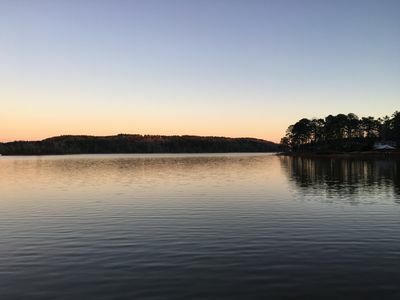 This cottage is centrally located to Birmingham, Auburn, Montgomery or Atlanta and is perfect for a large family, 2 families, ladies getaway, men's golf weekend or Auburn football in the fall. Family friendly neighbors on either side. 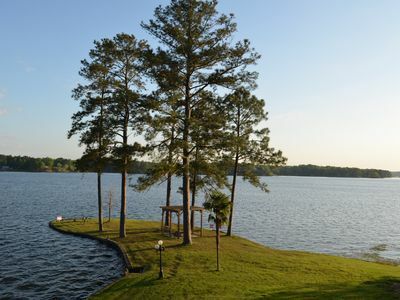 This is truly a Southern Charm!